Besides the problems of COM modification and milling, a problem that is often being discussed is the lack of respect or appreciation of the penguasaha tourism to traditional artists. In addition to payments that were classified as low performing arts are often positioned as a complement to the show, usually had dinner at the hotel / restaurant. Artists given the modest facilities and are often not properly introduced. How deep appreciation can occur when the attention of the audience should be divided between pendant food and watch the show? It was common knowledge that in places where tourism show guide or drivers who take tourists get 25-50% commission from the price of admission. Similarly, the art broker (intermediary between artist and buyer) to take a high percentage of the price offered so that the wages received by the artists is very minimal. This may be caused by the large number of artists / arts groups in Bali (high supply), coupled with the lack of such knowledge and managerial skills most artists / artist groups, and because of cultural traditions naiad (the show as a gift and inner satisfaction) that remain condensed among activist art. Bargaining position of artists in the presence of the tourism entrepreneurs to be low, as reflected by the existence of competition in lowering prices between groups with one another. Indeed there are a handful of hotels and entertainment places are trying to position participate traditional performing arts as a special to his guest. Artists shown are qualified artists or famous artists; staging was not done at meals; there were attempts to give good information (education) to the guests, and they are willing to give the proffered price Steinman. Artists who are sure of their quality is usually dare to fix prices, they have high bargaining power. All this can happen can not be separated from the diversity of the tourists coming. There are tourists who are satisfied with just seeing the show, there are also willing to look the best. There are government efforts to Bali through his LISTIBIYA to protect artists from exploitation and otherwise provide support and guidance to them in order to maintain or even improve quality. LISTIBIYA issue worthy of such a license for public performances and tourism Culture named Pram Ana Partum to arts groups. The Government continues to urge that the perpetrators of tourism business to give a better appreciation to the artists, both financially and treatment. Governor Decree No.394 and 305 in 1997 such as making wage standards for various types of existing arts groups. How far the implementation of this effort is still worth exploring. I still observe many performances are conducted in an impressed hotel-hotel/restoring improvise, and read in the media about the lack of appreciation praiwisata complaint to the artists. Perhaps it could be a routine staging that makes the dancer experiencing saturation, in addition there is the assumption that tourists are not yet able to distinguish between a quality show with a no. The positive impact of tourism can be linked with an increased quantity of the arts and the number of artists, and generally increase in income. The artists hope to be able to stage opportunities in the hotel because it is more frequent or routine rather than performing for the customary ceremony. Please note that performing arts is never separated from the rituals believed to be resumed. Rituals involve some form of performance such as Sang Hang, weak puppets, masks paean, Pendent, various types of dance sacred lines; and still in a ritual context, but also for burin like shadow puppets in the night, candidates for charcoal, or gambol. 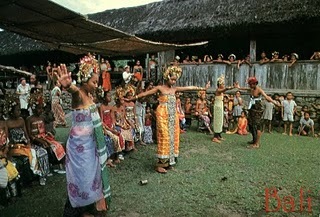 Increasing people’s purchasing power in general allows the village to buy a custom or ban jar gamelan devices usually also stimulate the formation of groups of drama / dance. A prominent young artists in Bali (I Nyman Batman, Gainer Butyrate of) the author had interviewed have different views about what is feared by scholars that tourism eroded the traditional art quality. Regular performances are given more opportunities to practice making art more creative and varied. He did not make such performances are done during the dinner because it believes that tourists will automatically pay more attention when his show performances of the food quality. Location of the main problems existing in the artist – whether he is qualified artists that dare to fix the price or the average of artists who want a low priced. He suggested that it is necessary to bring penguasaha tourism facilitator to dialogue with the artists: that they need each other. Government can also facilitate by making any restrictions or guidelines. About allegation that has happened profanisasi sacred performances he suggested that it be clarified the definition sacred. He thinks that makes a sacred art is that when done to complete by means of ritual ceremonies, offerings. He does not blame if there is a ritual art packed into a spectacle so far does not involve the tourism offerings. He even believes that the arts have made a ritual or classical imitation in order not to become extinct and if need be developed. An older generation of Balinese art (I Gusty Neural Aging Cabana Sparta of) see it decrease the quality or value. It is inseparable from the development of an increasingly modern era where a lot of things that consume perhatianbaik the artist or the community (the audience), coupled with the development of the syndrome so fast, instant, reflected on the desires of students (including his parents) in order to quickly be able to dance and performed . The challenge for artists today are not as heavy as the first. Rarely are teachers who teach hard and seines first. Changes in the dynamics of the audience also affects the quality decline. In the era before the 1970s, artists were challenged to achieve their full potential because there is an audience-spectators who came to test. Proximity distance between audience and dancers for a small stage to create the conditions for mutual communication appraisal, communiqués medina taste. System that separates the stage is now a dancer with the crowd (even more exposure through TV dance) exclude these medina process.